In response to accelerated growth of its U.S. and Canadian customer base, Riedel Communications has appointed Endi A. Maricevic as service manager for North America. Based in Riedel's Burbank, CA office, Maricevic is tasked with providing dedicated customer support as well as managing Riedel's service operations. He reports to Jake Halverson, Riedel North America operations manager. Endi A. Maricevic has joined Riedel as North America service manager. 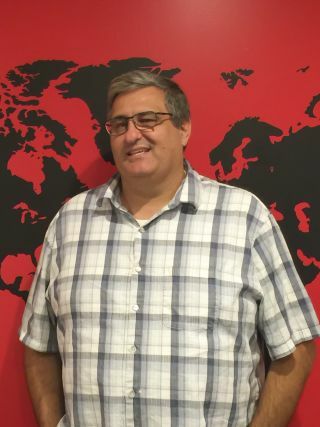 Maricevic joins Riedel from Fox Networks, where he served first as senior broadcast engineer, and then was later promoted to associate manager of engineering and operations. Prior to that, he was West Coast service manager for Evertz Microsystems, and he also previously served as director of North American customer service and project manager for Harris Corporation/Leitch for more than five years. Early in his career, Maricevic served in engineering management roles for Leitch Technology. He holds a bachelor's degree in international business from Woodbury University. "It is our pleasure to welcome Endi to our team," said Joyce Bente, president and CEO, Riedel North America. "Over his 20-year career, he's built an outstanding track record as a customer-focused professional in our precise markets—broadcast, media, and live events. In fact, Endi was known as the 'go-to guy' at Evertz to help engineering, marketing, and systems integration staff achieve their customer objectives. With his extensive management experience, industry connections, and passion for creating well-rounded customer relationships, Endi will be a tremendous asset as we continue to strengthen our support operations."